Lord Windgrace and Freyalise are agreed to address the rifts. Neither are particularly fond of our heroes, so where does that leave them? Windgrace returns the group back to the swamps of Urborg, everyone except Jhoira. Teferi and Jodah are immediately pushed aside by Windgrace's invisible hand. He is done with them, especially the cowardly academic Teferi. 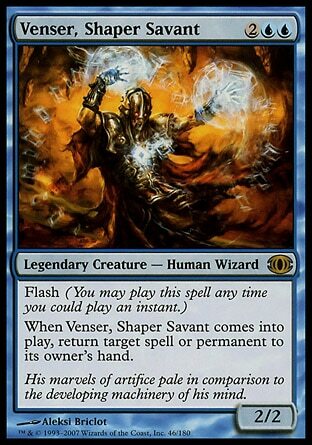 Teferi retorts that his insult applies to Venser as well who he's chosen to keep by his side. "You'd like him for yourself, wouldn't you? You have sensed what I have, that he is something new. You can't wait to get him alone and sift through his essence until you figure out how to put him to use." He tells them that their options are to leave his lands or stay and face Urborg's predators. Either way they will take them out of his sight. Jodah makes eye contact with with Venser and gives him a significant nod towards the clearing where he created his transport tunnel to Shiv. Venser is a bit saddened at Jodah's imminent departure despite hardly knowing him at all. And he isn't quite sure what that signal of his meant, but he hopes it means he's going to go after Jhoira. 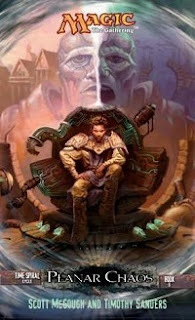 Teferi still tries to make a point with Lord Windgrace trying to convince him that his advice could be of use, but he is denied a final time. That doesn't dissuade Teferi and tells Lord Windgrace that he'll be remaining here in his swamps awaiting in answer his inevitable call. Back at his magical transportation tunnel, the archmage gets to works at reorienting the exit to appear in Skyshroud. Jodah turns at the sound of footsteps and finds Teferi with a staff he hadn't seen before. Teferi says he wishes to join him in the rescue of Jhoira and offers up some information. He tells her that she needs Venser's ambulator. She built in features into it that she never told Venser about. That she tried to hide from everyone in fact. The most important feature being a beacon, for a planeswalker. That's all well and good, but Jodah doesn't very much like following Teferi's advice. He can get to Jhoira just fine without an ambulator. He'll figure something out on his own. 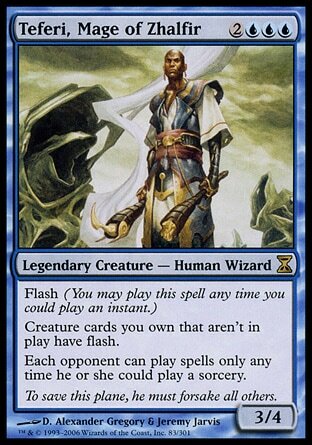 But Teferi is too stubborn to give up. He says that Venser is the key, and his cooperation is needed to get the ambulator up and running in a way to help Jhoira. Teferi's old infuriating self begins to emerge, but before it drives Jodah away completely, Venser appears. He tells them that Lord Windgrace left him at his lair while he checked on suspicious reports of inactivity from the Phyrexians that leads him to believe a major attack is on the way. Together all three come up with a plan that will give them time to pull Jhoira from Freyalise's clutches while Venser doesn't leave Urborg for too long, so as to avoid bringing down Windgrace's wrath. Venser will go retrieve one of his test beacons from his home and give it to Jodah. Jodah will take it with him to Skyshroud and when he finds Jhoira he'll activate it, then Venser can do his thing with the ambulator. Easy as that. Teferi invites himself to go along with Venser to his workshop, and for a third time today his offer of help is completely rejected. No one wants anything to do with him. He just needs to stay out of their way. Where did this Teferi come from all of a sudden? Was he done playing his game now that Windgrace and Freyalise have agreed to seriously address the problems with their rifts? Or was the trip to the Blind Eternities something that changed him. Perhaps he noticed what Jhoira noticed, that he and Venser both had the same reactions to being there, and curiosity has captured him and brought him back to reality. Or maybe it gave him hope that not all his power was gone and there was still something left to hang on to. Whatever is happening, at least it's quite clear that this change is quite intentional and isn't just a strange out of character shift, with the appearance of this new staff of his as a visual representation of the change. I don't fully understand how they plan to break Jhoira free of Freyalise. So what if they teleport away. Won't Freyalise just come after them? 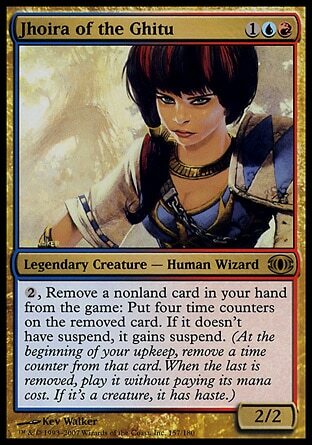 She is a planeswalker and go anywhere they can go. 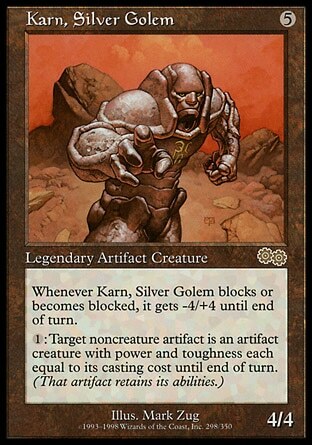 Another thing to note, Venser wasn't there to hear about the tampering with his device in the through the implanting of a homing beacon for Karn to find either, so Jodah might want to inform him about that.